Before all of this cold air stated moving into the region, it was nice enough to do some grilling. 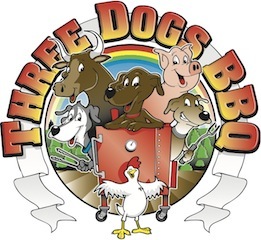 Usually I will brave temperatures down into the 20's to fire up the grill. But, we were lucky and had a day or two in the 40's over the holidays. This was the perfect time to get some grilling done. Why?Well, you look forward to the holiday season all year long. Turkey, stuffing, rib roast, gravy, cheese and meat platters, egg nog, etc..., you get the idea. But, after awhile, all that heavy food has you craving something lighter. I was in the mood for something that would go with a tossed garden salad. Something fresh and light. 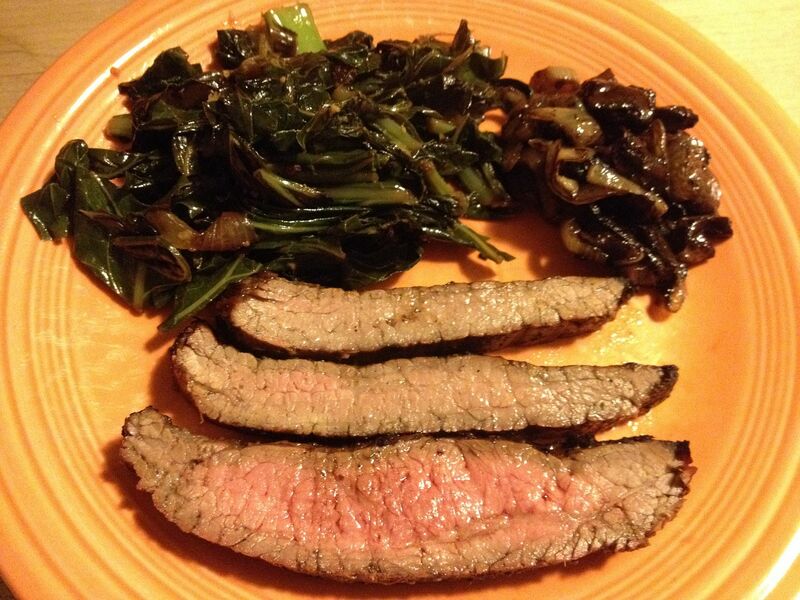 Well, I grabbed a flank steak and ran to the grill. 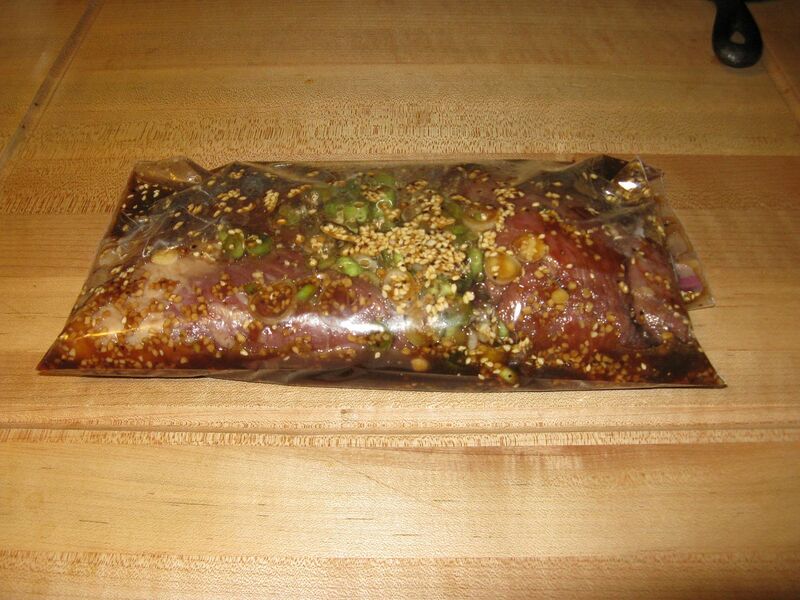 I have been meaning to try out this Korean Style Marinade that I found on Pinterest. I followed the recipe as written, except I dialed back the sesame seeds to 1 Tbsp instead of the 3 Tbsp it was calling for. I think it turned out just fine. 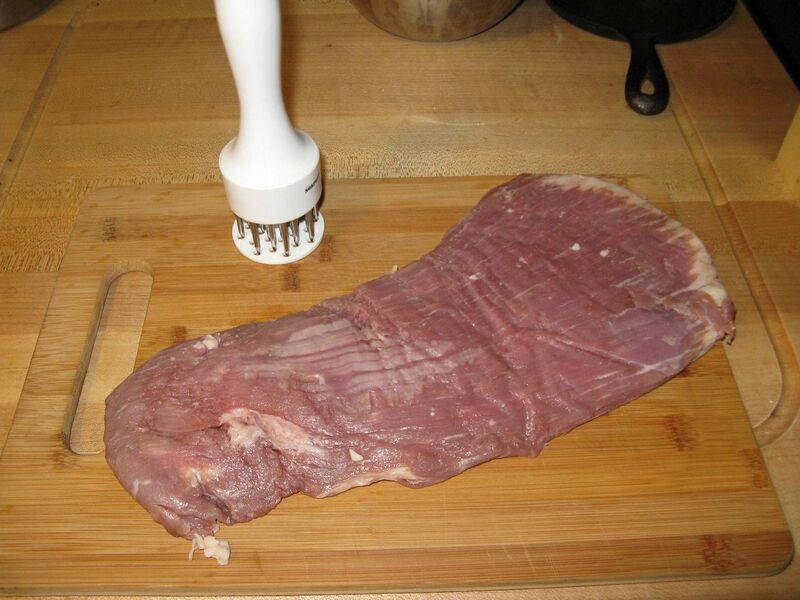 So, I mixed the marinade and hit my flank steak with the meat tenderizer front and back. 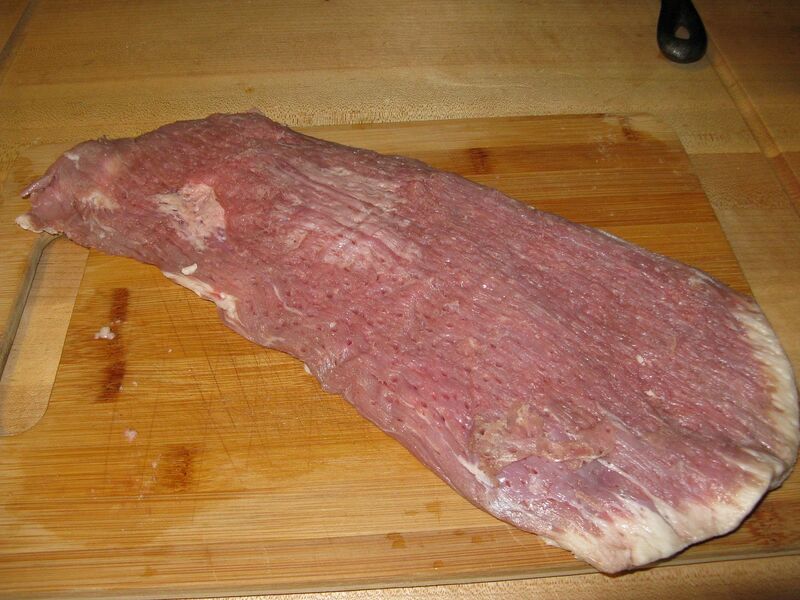 I put the flank steak into a plastic bag with the marinade, removed all of the air, and allowed to sit in the fridge for 3 hours, turning and massaging the meat every hour. Then, for the last hour, I pulled from the fridge and allowed to come to room temperature. While all of this was going on, I took some larger red potatoes and boiled in some salted water for 25 minutes, or until fork tender. I placed the cooked potatoes on a baking sheet and flattened them with a hand held potato masher. I coated both slides liberally with olive oil and seasoned with salt, pepper, and some dried parsley. You could also add other spices as desired. We were looking for simple. 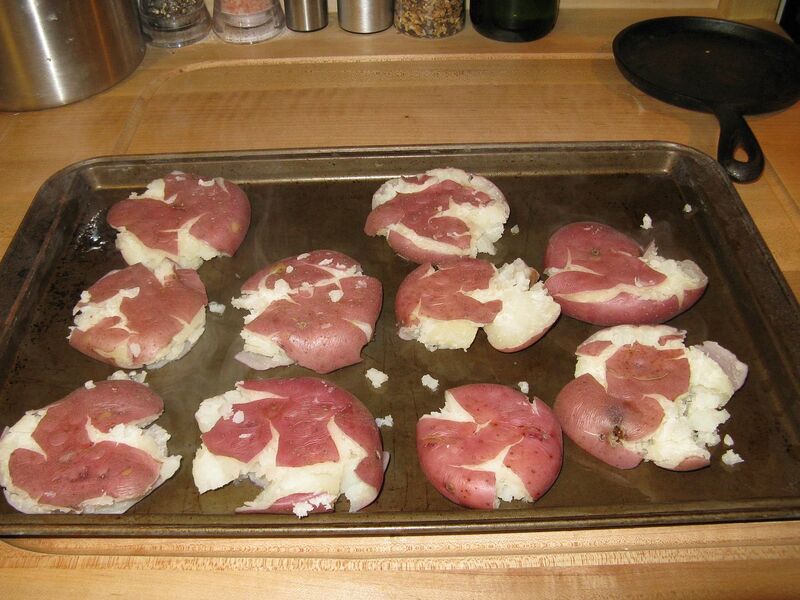 I placed the potatoes into a preheated 350 oven and cooked for 45 minutes, or until crispy and brown. I lit my charcoal. 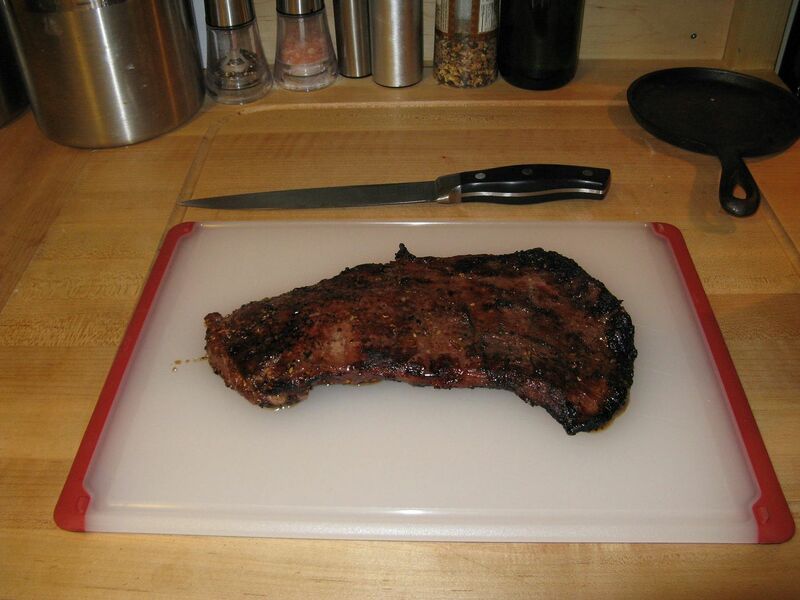 When the grill was ready, I cooked the flank steak on direct heat for three minutes a side. Then, I brought the steak inside and let sit for 10 minutes. 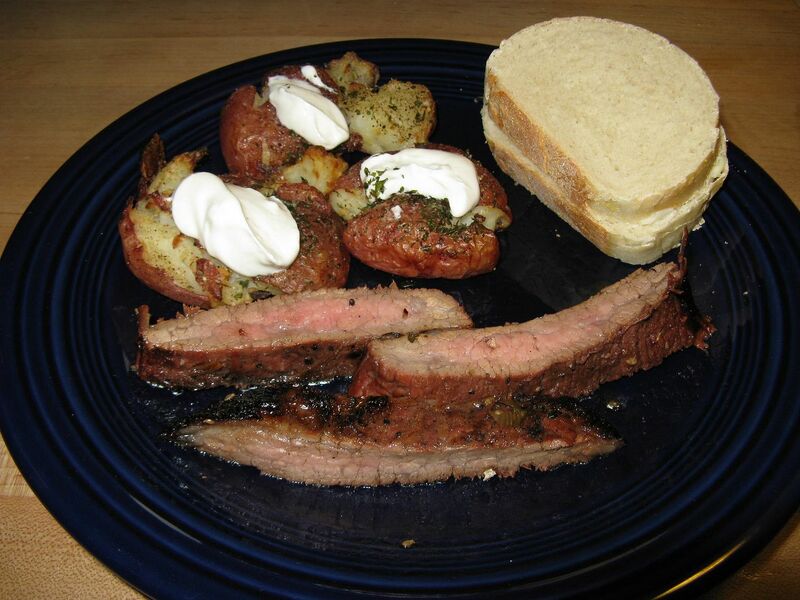 Then, I sliced across the grain and served with the potatoes and some homemade Italian bread that Hope made. With a salad on the side, it was just what we were looking for. A break from the holidays. The marinade was outstanding. When on the grill, it was all that I could smell. The meat was bursting with Asian flavors. I can't wait to try on some other types of meat. 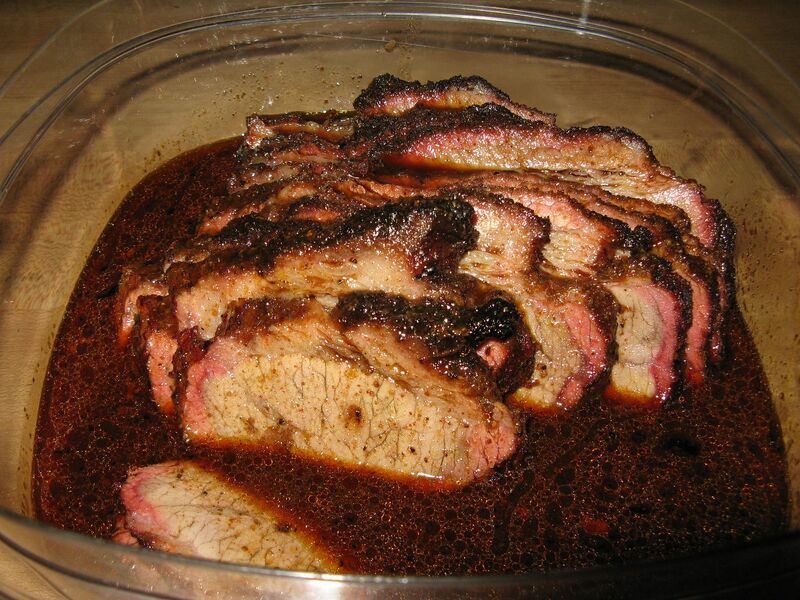 The next time, I may add a touch of ginger and some sriracha sauce for some kick. The hardest part of that recipe was letting the meat rest for 10 minutes. Great stuff. Baby Back Ribs, the Way We Like Them!